I first travelled to Indonesia 30 years ago and I really fell in love with the place and it changed my outlook on things. It was my first stepping stone to travel in the East. Through travel within the archipelago I found interest in exploring the different traditional crafts from different islands and regions. Indonesia is so rich in craft. I am still immersing myself in it after all this time. I has been a real journey and something I’m quite grateful for. 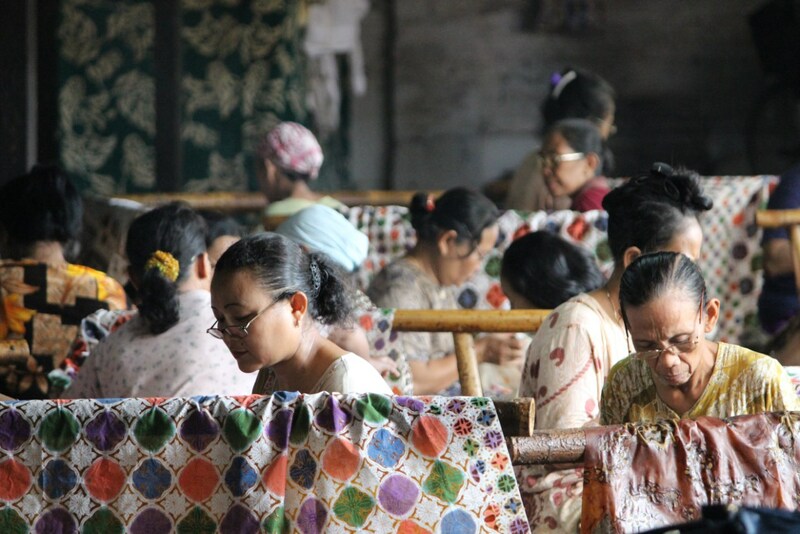 Sourcing product in Indonesia can be very challenging and finding the right craft producer or supplier takes time. Normally where there is tourism you can find art shops and markets with everything on show. Most of the time we need to find our way to the backstage of this show – if you like, to the source. The Indonesian people are warm and inviting hosts and happy to provide us with extra product knowledge, and to accompany us to oversee the production in the home or village. The village that produces basketry could be quite a distance to the area that produces textile, so again it comes back to travel. Our customers will always value handmade product and be able to differentiate it. Often they will relate to it directly through their own travels or, on the other hand, see it as something unique they have never come across before. More recently I have noticed how much interest the younger customers are showing in our fashion products that use traditional techniques, and the added value it provides. 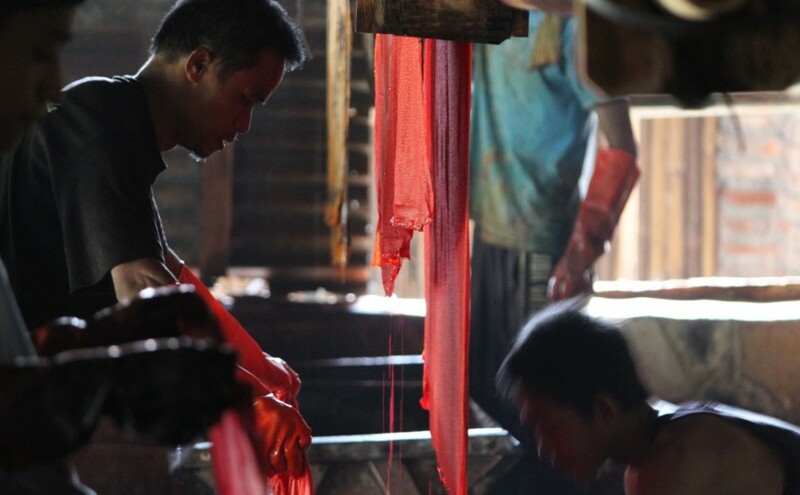 Producing and developing product in Indonesia is always a balance of pushing and allowing things to evolve. The spiritual belief system is strong and without it most of the craft would not exist. I’ve always been a believer in allowing the craft producers to do what they do best, and fit in with realistic deadlines without having to push at all. Everything takes time with handmade product and it all happens in the end somehow….often on a spiritual level, so for me it helps the challenge to believe. The other challenge is actually getting what you want rather than some suppliers giving you what they want. So relaying information and agreeing on everything up front is crucial. Other challenges are getting your goods home. I remember my first ever shipment 20 years ago, when we moved the Lombok handicraft out of the villages by horse and cart, and this did require some pushing and a few challenges. Today we have to work together with our cargo partners as much as our suppliers because in Australia we have strong biosecurity. We need to ensure the right packaging materials, fumigation processes and documentation are in place so we can provide these products at Pipal Tree. 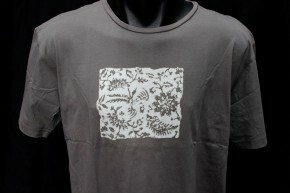 I was mostly thinking of developing some shirts using traditional hand block batik. 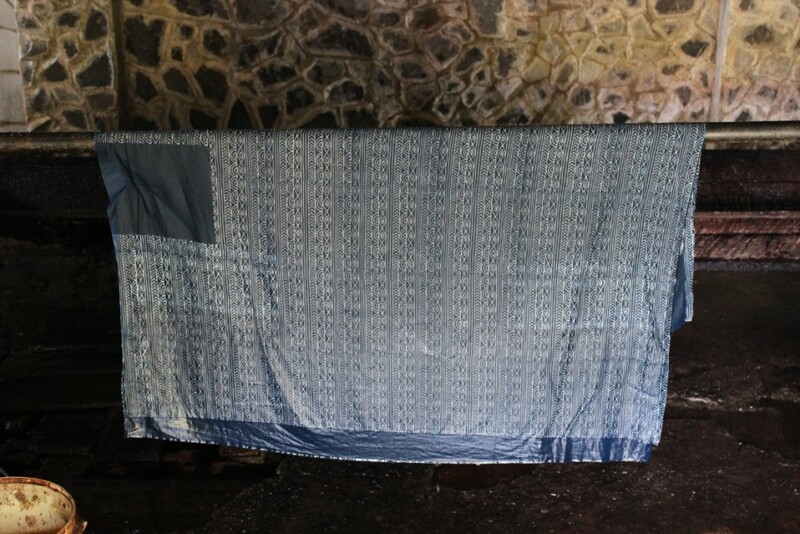 I wanted to just have my first personal experience with this textile design and to produce something within a traditional batik workshop in Central Java. 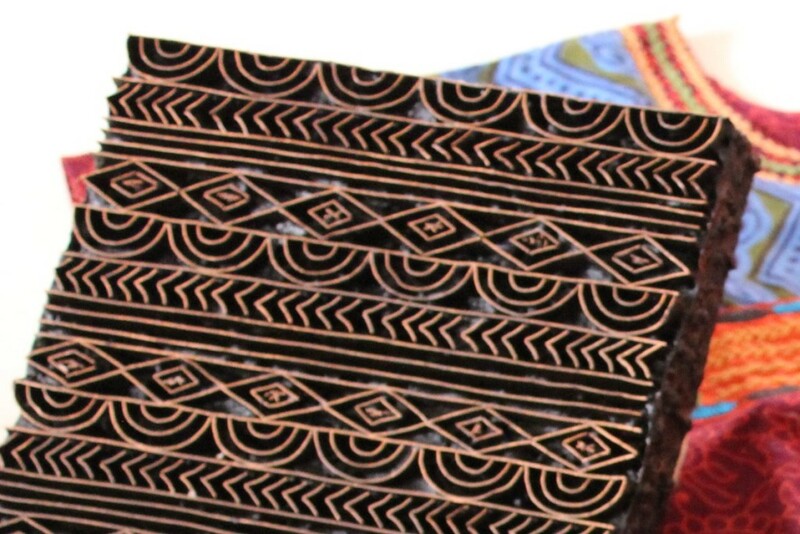 My aspiration stemmed from being on the Sangam Dialog Batik trip and I wanted to follow through with my thoughts on a contemporary product using the old technique, that had come to mind whilst we were there. Knowing that a lot of ethnic patterns and designs are currently in vogue, I thought that would give me a good start. 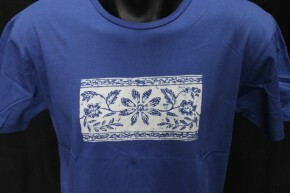 The shirts were made using the age old technique of cap hand block print batik. The cap is used to apply the hot wax to the fabric before dying and this resists the dye completely and very well from front to back. Once I had decided on the quantity the wax could be applied repeatedly over the required area of cotton, staying mindful of the shirt pattern with minimal waste. It’s interesting to see how well the Indonesians can attain the color designs. It reminds me of my days as a sign writer in Melbourne when decorating the inside of a window which needed to be done from back to front with the color, and in reverse for the design. For the shirts I decided on only two tone, so the wax was first applied over white then only two dying processes with wax removal by boiling in between. I wanted to keep it simple for my first attempt and as we had discussed during the Sangam trip, a good idea for a broader market. 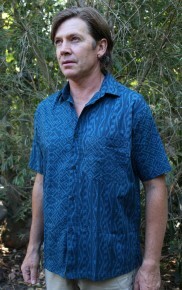 I had agreed on an existing shirt pattern and to use cotton, which is the usual wear for both men and women in Indonesia. 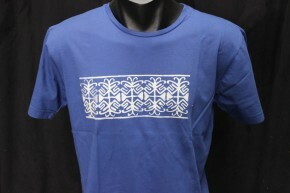 For my convenience with limited time I headed straight to Tobal Batik workshop for this project. It’s a well established and upscale place in Pekalongan with 120 staff and high production levels. Tobal Batik is run by Ibu Fatchiyah and her son Umar, who looks after production. They are wonderful hosts and there is no communication issues with my limited bahasa. So together with Umar’s input into the shirt pattern and sizing, my specs are just down to selecting the right cap, placement and deciding colours. So I would have to say that a large percentage of the creative input comes from the original designer or producer of the copper cap. 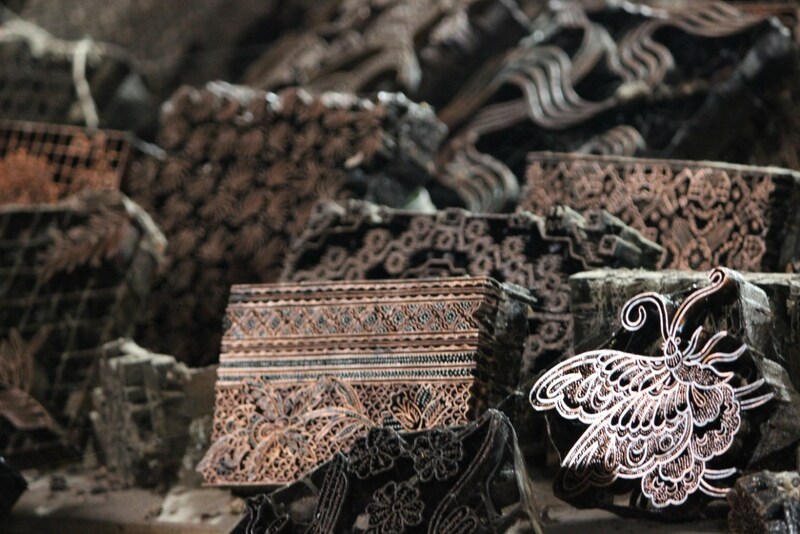 They are amazing intricate individual artworks, and searching around the batik workshops in Pekalongan resembles a fine exhibit of artisans works. So actually the main creative input to this product belongs to an unknown artisan that needs to be recognized. At the retail end of things we have just sold a few, but this is the process of product testing for next time. However, when we assist the customers with the actual product knowledge and the story that exits behind them, the response is always good and a common appreciation for the process involved and the added in store experience for the customer. 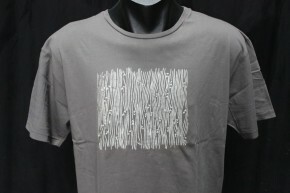 I have just finished our first collection of combination tie dye and batik t-shirts. I feel combining the two crafts has taken it to a new level and the possibilities are endless. As I mentioned earlier this also takes time, and with trial and effort we can provide wearable art and craft that’s fashionable to the consumer. Marty Hope studied at Melbourne College of Decoration in the mid 80’s. He then spent 20 years working in the Sign, Display, Exhibition and Visual Merchandising Industry. In that time he regularly travelled to Indonesia and South East Asia. Mid 90’s he set up my first small import retail business in the form of a market stall as a sideline, selling Indonesian antique textiles and handicraft from Nusa Tenggara. Later this evolved into more commercially produced goods from Bali and Java. For the last 8 years he has run together with his partner Rochelle the retail store in Melbourne, Pipal Tree. 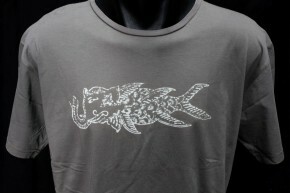 This is based on relationship with different crafts producers from Indonesia, Thailand and Nepal. Thanks Marty Hope. Your experience in Nepal since then would be of great interest.